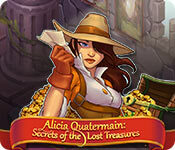 Alicia Quatermain: Secrets Of The Lost Treasures is rated 4.0 out of 5 by 6. Rated 5 out of 5 by BobbyM1 from If you love Indiana Jones, then you will like it. Not too complicated, but quite interesting levels. There is always something to do - it's cool. Beautiful graphics. Made with love, immersed in the game completely. I love the subject of adventure. Here it is disclosed quite well. Music and sounds do not bother. You can even call it pleasant. And it's all wrapped up in a well-designed story. Rated 5 out of 5 by pennmom36 from THE PRICE TAG IS THE BIGGEST DIFFERENCE BETWEEN VERSIONS! A stranger met with Alicia one day, and told her to search for her Grandfather Allen's secret treasure, if she wants to find out what happened to her father, who vanished mysteriously, several years ago. Alicia figures she has nothing to lose,and a treasure hunting journey across 5 different islands,could be the adventure of a lifetime, and who knows, she may very well find the answers she's been searching for all these years! The graphics are some of the best I've seen in a TM game. The critters are realistic, the trees actually look like trees, there are beautiful flowers and shrubs, even the fish swimming in the pond are lifelike. You can play in an Easy untimed mode, Normal or Expert mode, and if you earn expert status of 3 stars, on any level, it allows you to help Alicia clean and decorate her office. When I first played the Collector's Edition version, I assumed that this feature would only be offered in the CE version, but I was wrong, this feature is still available within this Standard Edition version. I love the different quests available, such as saving the panda cubs. There are a ton of tasks available in each level, and both versions have a collectible Stone Puzzle Rune to discover, which allows you to collect your own treasure in each scene. Both versions seem to offer Achievements as well. The level goals are shown at the top of the screen, a meter on the left of the screen shows your level status and how much time you have left before losing a star rating. A Bonus Meter is shown on the right side of the screen that give you various bonuses such as an extra worker or speeding up the existing workers. I will admit, that I had to restart a few of the levels, to change the order of tasks I queued, so that I was constantly moving rather than waiting idly for a needed resource. This is certainly an entertaining Time Management game, but I like this Standard Edition version just as much, and at half the price! The only feature remotely worthy, that only the CE offers is a built in Strategy Guide. The Collector's Edition version has 6 Wallpapers, Achievements to earn (CE & SE) a Hidden Jigsaw Rune in each scene, (available in this SE as well) items to clean and decorate Alicia's office, (also available in this SE version) Bonus Chapters and puzzles, and a built in Strategy Guide, enjoy! Rated 4 out of 5 by PepsiJamie from Good Game I love TM games, I'm always looking for my next 'addiction'. This game was really good, fun and enjoyable I love the Alicia Quartermain series...they just keep getting better. Rated 4 out of 5 by MacAy from The trees grow ... Based on the free hour trial I like this game a lot. 3 levels of challenge, fantastic graphis and ... you cut down a tree and it grows again :-) Love that. Always hated to cut down trees in other games ! 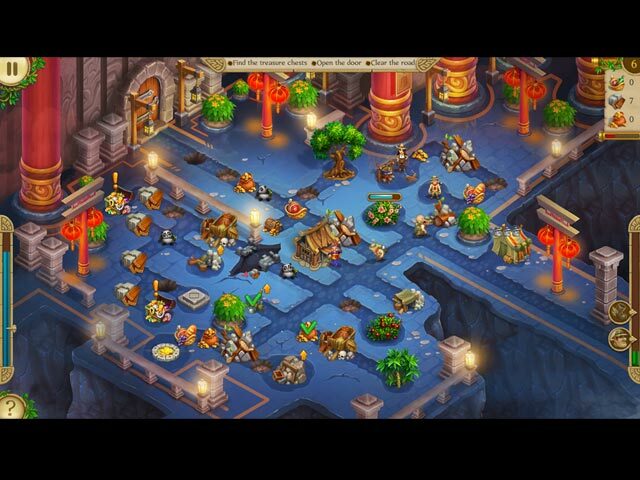 Rated 3 out of 5 by Neko6 from Recycled Game Play This game, with only a few differences, is clearly a recycled version of the 12 Labors of Hercules series. The map, the scoring system, the puzzle pieces, even the screen at the end of each level, is repurposed from that series. The storyline is fairly uninteresting and the dialogue that pops up every now and then is weak and sometimes filled with translation typos. 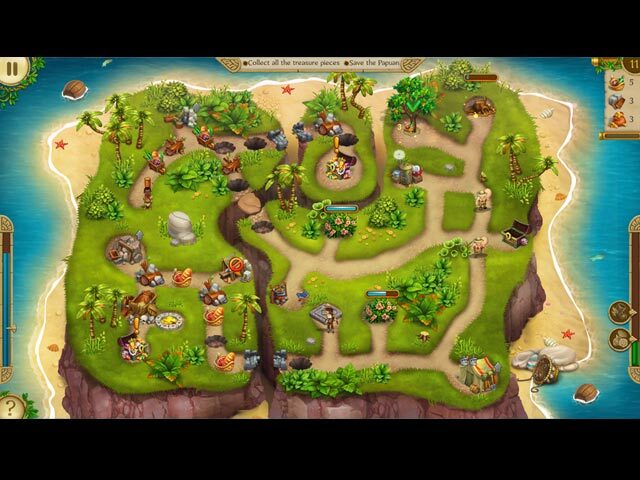 The game play is solid enough but lacks a few of the perks from the Hercules series, such as buildable bonuses that speed up workers for the duration of the level or add to production. I did not play the game yet on the highest difficulty so I cannot speak about the challenges for that but on normal difficulty, it's just average. Not awful but not great either. That kind of sums up the entire game, really. Rated 3 out of 5 by stingstungme from Not perfect I would prefer to rate this 3 1/2 stars but since we can't do halves, I'll have to give a 3. I really like the game and will buy it but I had 2 bones of contention. The first is that only 1 or 2 areas are highlighted at the start of the level. You have to click first to see the entire level clearly. That's a problem for me because that activates the timer. I prefer games where I can come up with a plan on how to attack the level BEFORE the timer starts. This doesn't allow that. I could sit with my nose 2 inches from a dim screen but I'd rather not. This segues into problem #2. 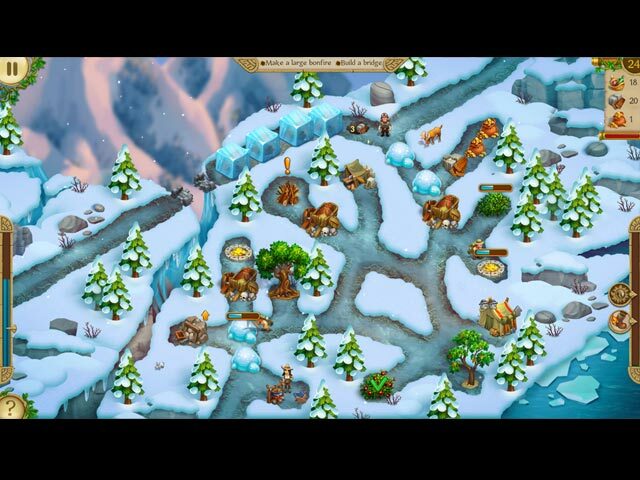 The items that you must build (kitchen, gold mine, workshop) are not easily spotted. I've had to restart levels because certain buildings were not built on time. I literally did not see them. I do recommend the game. I just hope that if there is a part 2, the developers will consider our feedback.